Kechi Okwuechi has lived an extremely difficult life. At just 16-years-old, she was the survivor of a plane crash in Nigeria that killed 107 people onboard. The moment she auditioned for America’s Got Talent, it was clear that she had worked hard to get there. It was during her time in the hospital when music ended up helping her heal. “Lying in the hospital bed unable to move, music was my escape. It did so much for me,” Kechi recalls. 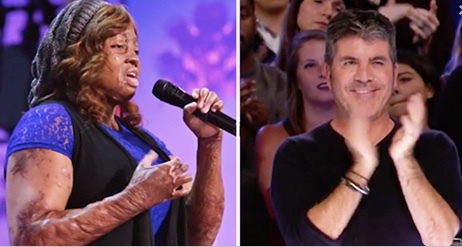 Four years after the terrifying crash, Kechi ended up attending the University of St. Thomas; she even graduated with honors. Kechi was asked to give the commencement speech at her graduation; she dedicated the speech to 60 of her classmates that perished in that 2005 plane crash. Her life was a difficult one, but that never stopped her from pursuing all of her goals — including singing. Continue to the next page to watch the performance that completely wowed the judges.